Earn $14.32 in VIP credit (1432 points)What's This? Assos’s Women’s SS.JerseyLaalaLai_EVO8 is a sleek, short sleeve cycling top from the Shasha system outfit that’s suited for summer riding. 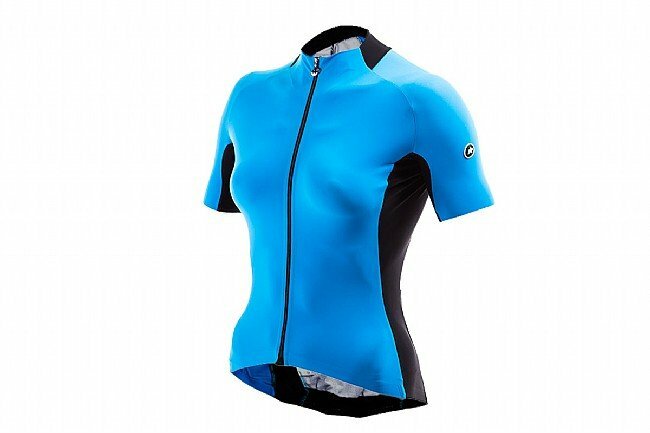 This jersey features advanced technical fabrics and female anatomy-specific construction which together provide comfort and performance support. Soft, lightweight and stretchy, Assos’s Sens Classic Tex fabric regulates body temperature and facilitates ergonomic positioning on the bike. 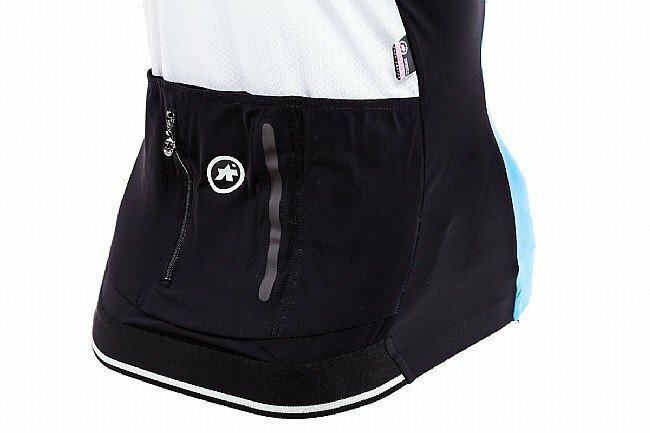 The jersey’s cooling back panel showcases Assos’s Stabilizer S7 Knit fabric which is flexible, durable and sun protective (UPF 30). The SS.JerseyLaalaLai_EVO8 sports a double layered collar for a precise frictionless fit. 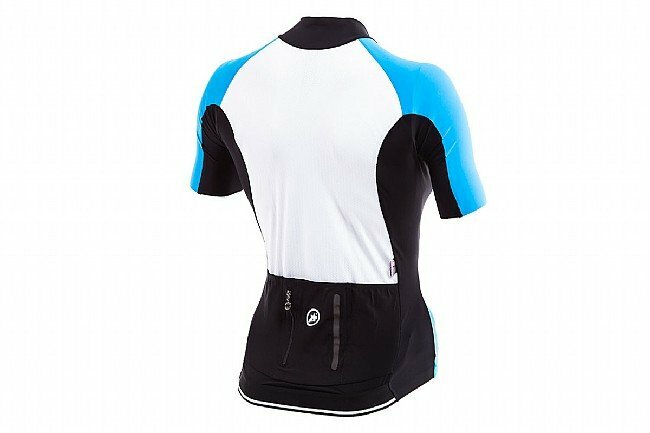 The front zipper extends the full length of the jersey for customizable ventilation and its bonded to the jersey for a smooth, non-abrasive feel. The rear pockets exhibit a new design that increases ease of access and storage durability. 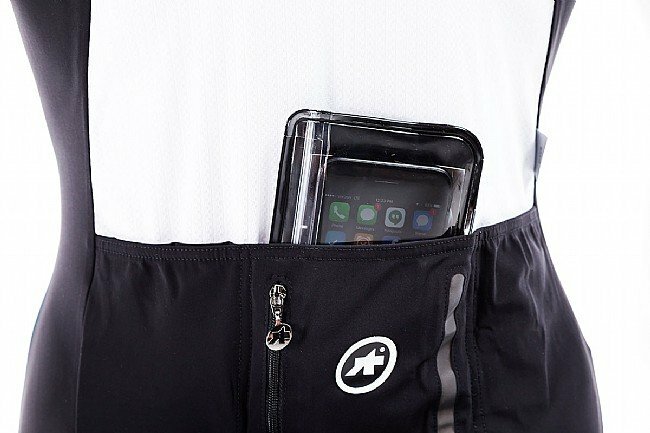 For super secure storage, there’s a small vertical zip pocket atop the rear panel pockets. At the elasticized hem, there are reflective strips that catch light in dark riding conditions for increased visibility. Materials: 59% Polyamide; 23% Elastane; 18% Polyester.